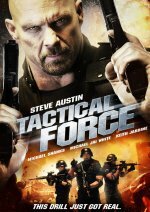 Tactical Force Movie This Drill Just Got Real. A training exercise for the LAPD SWAT team goes terribly wrong. added the tagline: "This Drill Just Got Real."